To CGT or not to CGT? There are growing calls for Labour to come clean on its tax plans – particularly on the potential introduction of a capital gains tax – as the election draws closer. Back in 2015 then Labour leader Andrew Little specifically ruled out the introduction of a capital gains tax following the 2017 election. But times have changed and since Jacinda Ardern ascended to the role of Labour Party leader, talk that Labour will introduce a capital gains tax will not cease. Ardern has consistently said that, if elected, Labour would establish a tax working group to look at tax reform and would wait for its recommendations before making any tax change proposals. However, she has not ruled out the introduction of a capital gains tax and she has said that, should one be introduced, it would not include the family home. Last week Labour’s deputy leader Kelvin Davis said that if a capital gains tax was introduced, it would only apply to a "select group of New Zealanders who own more than one house" and would not be relevant to most people. While many countries have comprehensive capital gains tax systems, the prospect of their introduction has long been unpopular in New Zealand. NZ First leader – and potential kingmaker - Winston Peters has said that Labour should make its tax plans public before the election. He also wants to be informed on what Labour's tax plans are before any coalition talks. The NZ Property Investors’ Federation believes that Labour needs to front up to voters on its tax plans as well as the likely costs. NZPIF executive officer Andrew King said it was disingenuous for Labour to say that it will leave its decision on a capital gains tax up to a tax working group. “They obviously want to introduce a capital gains tax, they will stack a working group with people who will say what they want, and they will not take the proposal to an election. King said the introduction of a capital gains tax would impact on the returns that rental properties generate and make it less viable for people to own them. In his most recent overview, BNZ economist Tony Alexander also said that supply and, in turn, rents would be affected by the introduction of a capital gains tax. He said that capital gains tax regimes in place overseas have failed to either constrain boom periods or prevent houses rising to high multiples of incomes. “It will also tend to reduce housing turnover relevant to real estate agents because investors will hold onto properties for longer periods, shifting their focus from tax free capital gains to income. But Withers Tsang tax specialist Nick Ashford said that while the introduction of a capital gains tax was likely to lead to a bit of a downturn initially, it would dissipate over time. The policy, which would not be retrospective, would make property a little less viable as an investment but, long term, it would not make much difference, he said. 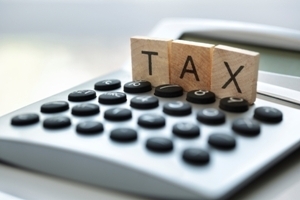 A change of government does mean that property investors would face a harsher tax regime. The Labour Party has already committed to extending the bright line test, which taxes gains on property sales with some exceptions, from two years to five years. It has also said it plans to ring-fence rental property losses by removing negative gearing. Meanwhile, Labour’s likely coalition partner, the Green Party, has committed to implementing a comprehensive tax on capital gains.